A newly catered attraction for the tourists who come to Athens, Aristotle’s Lyceum is an archaeological site whose history holds a lot of cultural and historical value. The Lyceum was founded by Aristotle in 335 BC. and was originally known as the Peripatetic School. According to the oral narratives, Aristotle used to stroll through the school’s tree filled groves discussing philosophy and the principles of mathematics and rhetoric with his students. Although nothing of visible history remains at this place, yet a walk over here will take you back into the pages of history and Aristotle’s love for philosophy and tutorship. How popular is Aristotle's Lyceum? 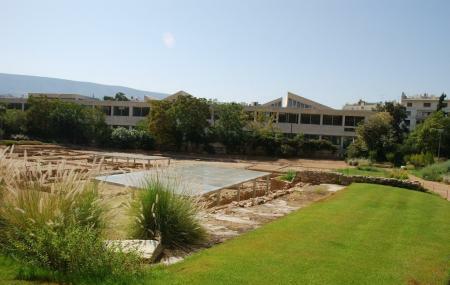 People normally club together Museum Atelier Sypros Vassilio and Lykavittos Hill while planning their visit to Aristotle's Lyceum.